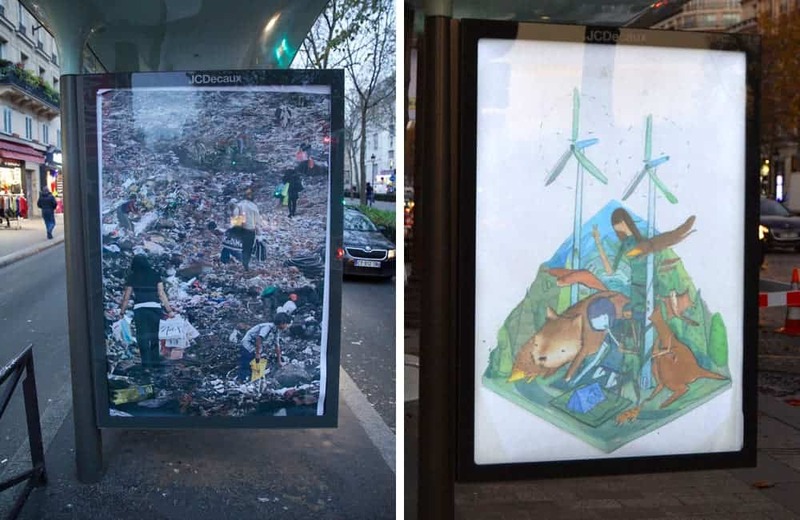 82 artists joined hands to create 600 artworks – modified ads placed around Paris to protest greenwashing done by the corporations involved in the climate summit. COP21 doesn’t only want to create an agreement between countries – it also wants to involve other stakeholders, namely corporations. 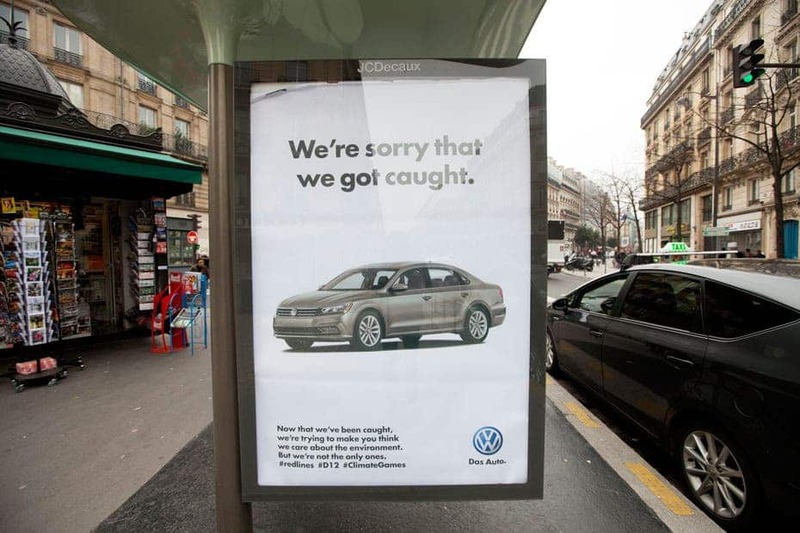 But are these companies actually committed to a sustainable future, or are they simply riding the enthusiasm wave – a wolf in sheep’s clothing? 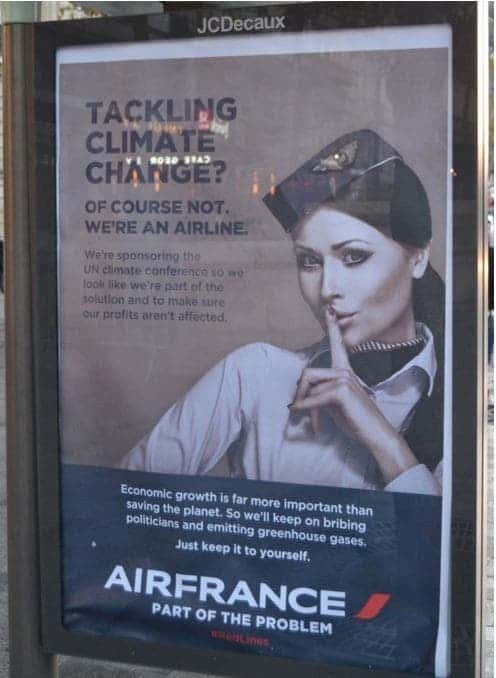 Well, some definitely think the latter is true; prominent sponsors such as AirFrance, GDF Suez (Engie) and Dow Chemicals are parodied in the posters, advertising themselves as part of the solution when in fact they are part of the problem. 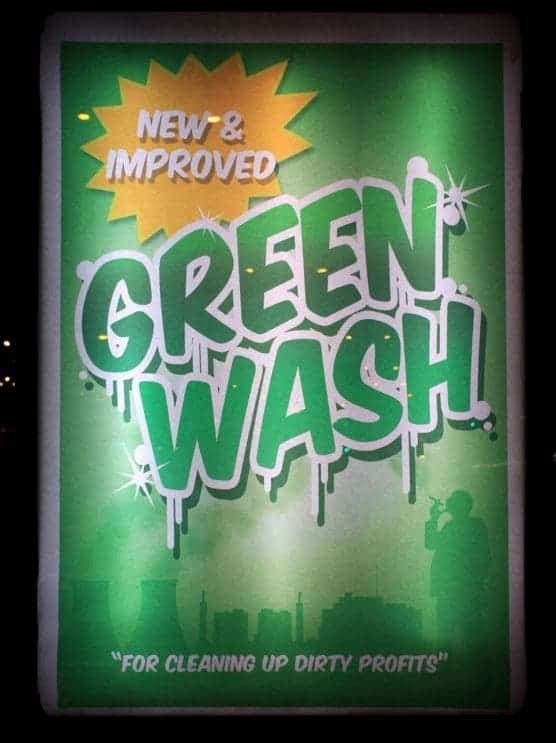 “We are taking their spaces back because we want to challenge the role advertising plays in promoting unsustainable consumerism. 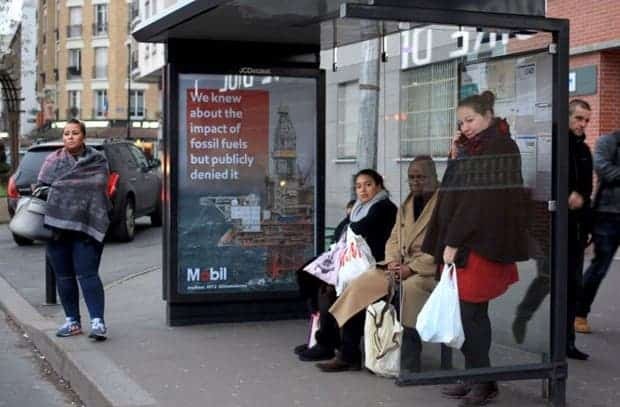 Because the advertising industry force feeds our desires for products created from fossil fuels, they are intimately connected to causing climate change. 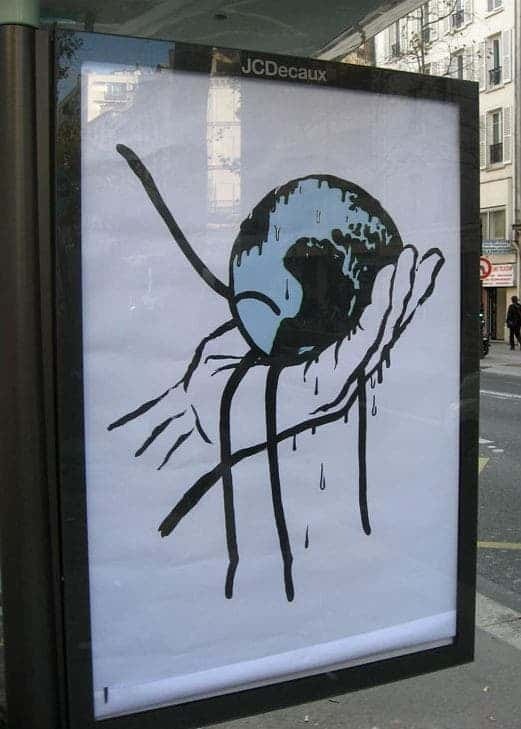 As is the case with the Climate talks and their corporate sponsored events, outdoor advertising ensures that those with the most amount of money are able to ensure that their voices get heard above all else.” The art works were installed on ‘BlackFriday’ – symbolically chosen as the day with most spending on shopping worldwide. 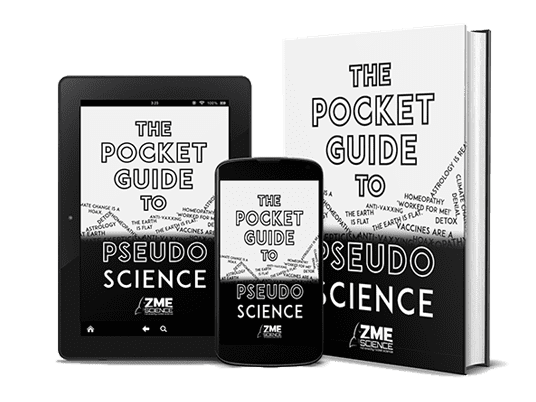 The fact that climate marches and gatherings have been canceled upset many, who claim that the voice of the people was thus muted, and corporations got to spread their message even louder.